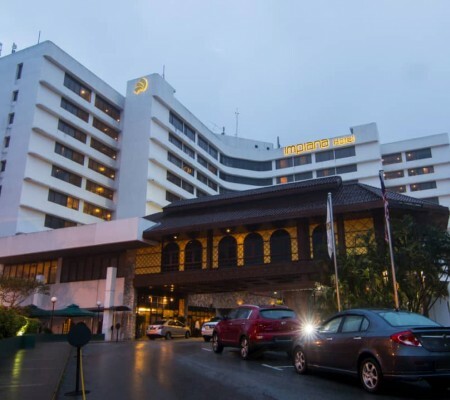 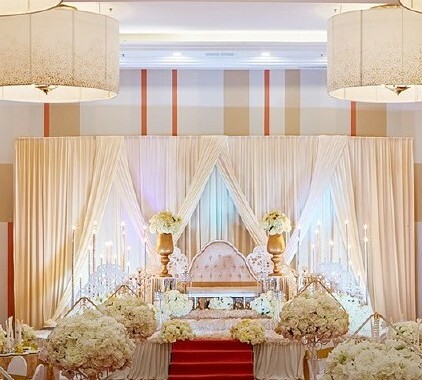 Wedding packages at Impiana Hotel Ipoh are designed to give you the freedom and flexibility to create the event of your dreams. 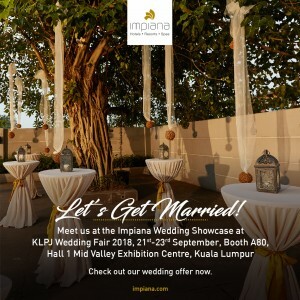 Celebrate love with us at Impiana Hotel Ipoh. 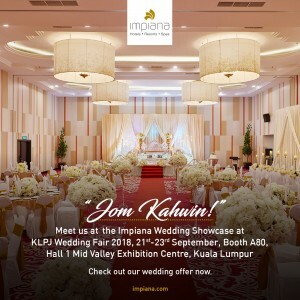 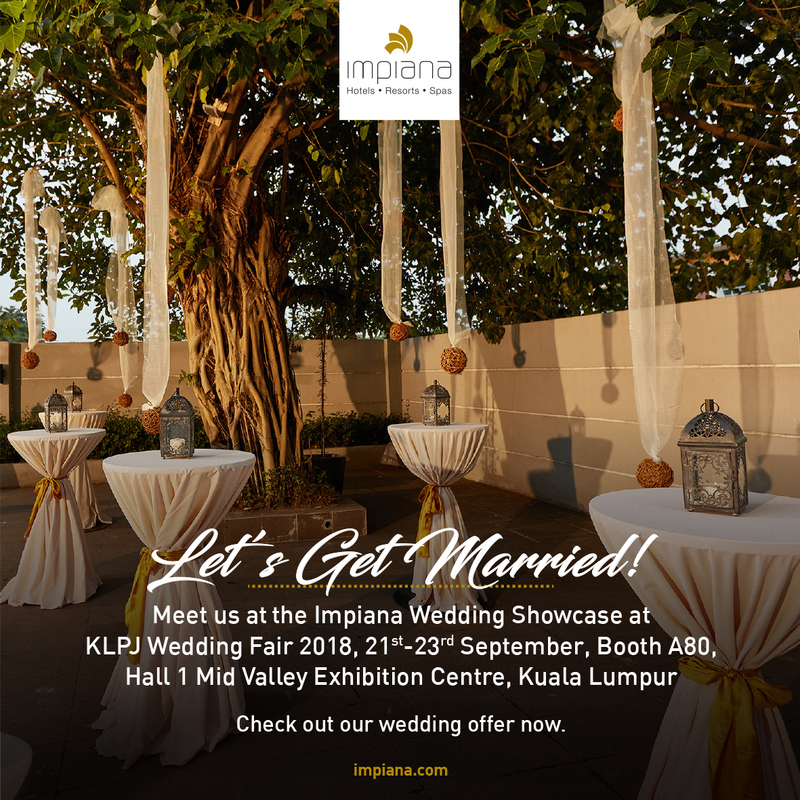 Just speak to our Wedding Consultants at the Impiana Wedding Showcase @ KLPJ Wedding Fair, 21 – 23 September 2018. 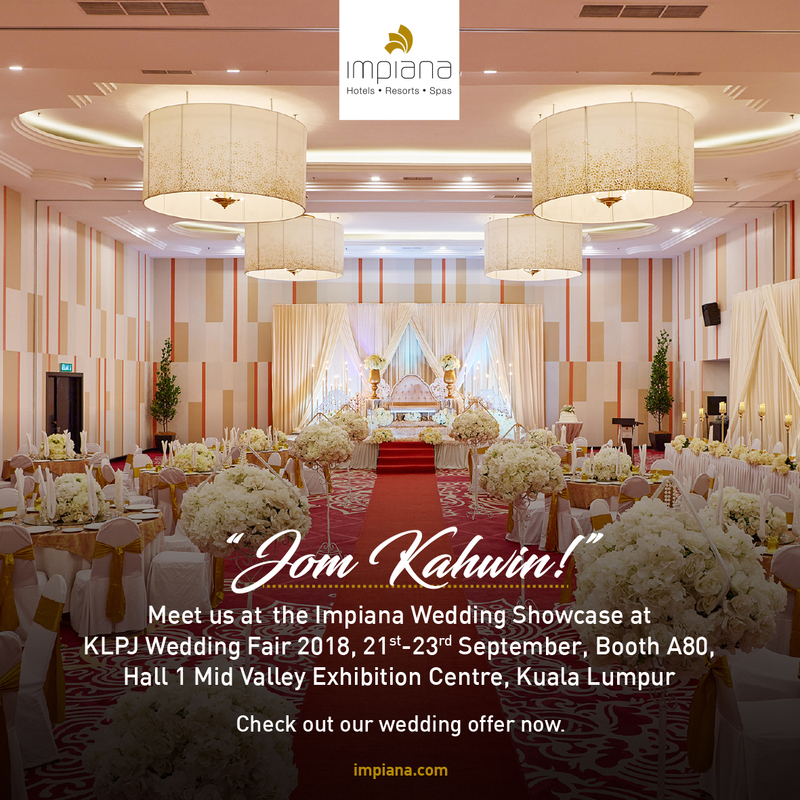 Booth A80, Hall 1, Midvalley Exhibition Centre, KL.